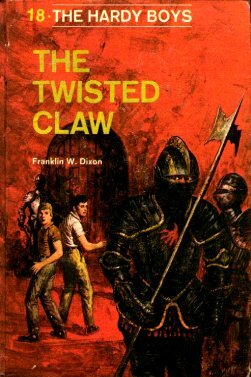 Cover: Rudy Nappi, just a bit of red and yellow, but more brown and blue this time. A daytime scene right out of the book. This time instead of them staring at a bad guy from a distance, they are in full investigative mode. Good cover. Setting: Bayport, plus briefly the Caribbean and Montana. Where’s Fenton This Time? : Oh, busy doing his own investigating, but he’s now mostly out of the picture. No cavalry needed here. Which Chums Show Up? : Chet, Biff, Iola and Callie. Mostly Chet. What’s Chet’s Hobby This Time? : Speaking like a dead man. You had to be there. Aunt Gertrude’s Dessert: Both strawberry short cake as well as gingerbread with apple sauce and whipped cream. Frank and Joe are full. Chet could use a little more. Plot: Someone is stealing platinum parts from an air shipping company. Frank and Joe become employees to investigate. A dead man keeps speaking (but remember the Scooby Doo rule!). Review: Not bad at all. 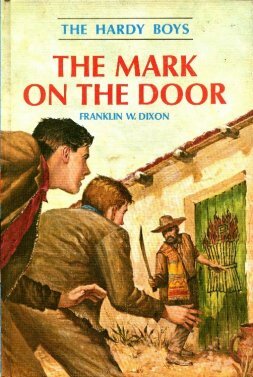 The boys get to do a lot of flying, something that becomes a key part of their investigative tool box for most of the series. 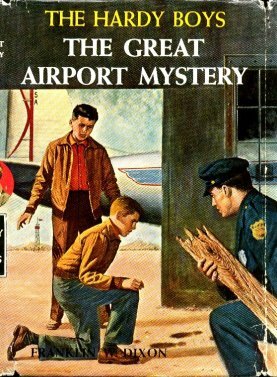 I think the 1950s and 1960s loved the idea of freedom through the air because the Hardy Boys sure do love them some flying. 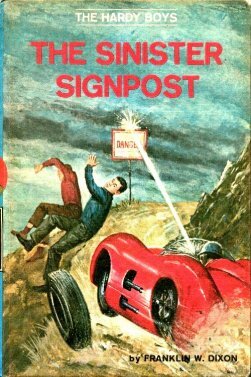 This book has a good mystery, gang members who throw grenades, a presumed dead pilot who keeps haunting the living pilot who took his job, a tornado, a severe storm on an island, Chet being humorous in a way that ties right into the plot, and chattering bad guys in the end as we wrap it up. 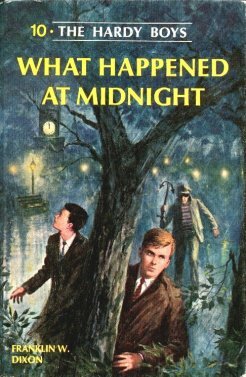 And now we are done with the single-digit books, and it’s time to move into the Hardy Boys classic period with some very interesting books coming up.